In a recent development, Amazon announced that it would be unveiling additions to its Kindle service as the eBookstore era heats up. Google recently launched the eBookstore which has been tagged as the world’s largest library of titles. Over 3 million titles have been made available, marking its launch. 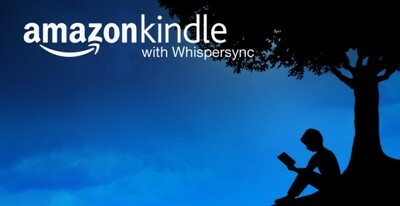 Amazon highly needed to coup up with things, keeping its Kindle tablet alive. Kindle’s eBookstore would roll in new features that would enable users to read full books in the browser while also allowing other websites, offering Kindle books, to become a bookstore. According to certain developers, Amazon has launched the eBookstore feature to feature of what Google’s eBookstore consist of. Amazon and Google eBookstore’s might match on all the features but with Amazon’s experience and time in the market, Amazon is surely to grab a lead. Amazon has its mobile software as well as the popular e-book reader known as Kindle, which has strongly dominated the market for several years. Estimates show that Amazon owns 50 percent of the e-reader market with its dedicated e-reader while Google has no hardware available for its e-Bookstore. Who will win, its hard to say. Both are powerful players. Whether there’s a big battle between Google and Amazon depends on what Amazon does next. If Amazon is serious about the device space, they are going to have to open up devices … whether that is based on Windows or Android or something else.